How do you define a good fair? A commercial event dedicated to art, which offers such diversity and quality in a single setting (hopefully a pleasant one) that it allows the collector to avoid having to do the rounds of the other next fairs. 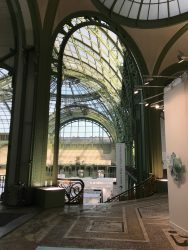 For its 2017 edition, the Foire Internationale d’Art Contemporain (FIAC) situated beneath the majestic metal framework of the Grand Palais produces this feeling of satiety, with 193 galleries from 30 countries and exhibits ranging from modern art right up to work made in 2017. 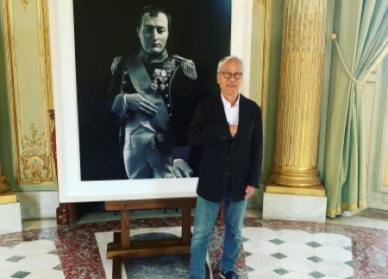 A visit to the show (which extends to the neighbouring Petit Palais museum and even onto the road between the two buildings, doomed to a week of traffic) is a feast for the eyes, first and foremost due to its extreme diversity. 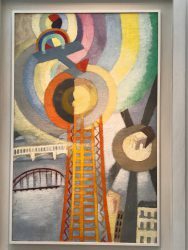 For sheer visual pleasure, painting fans should make a trip to the booth of Parisian gallery Le Minotaure, which is exhibiting a large 1925 canvas by Robert Delaunay (1885-1941) depicting his favourite subject: the Eiffel Tower. It’s a cubist, aerial image in which the light is deconstructed: a complex exercise in modernity which is on sale for 4 million euros. 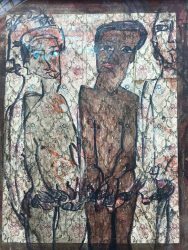 One of the big names in world art from the post-war period, who these days seems to be being revalued by the market, is without doubt Jean Dubuffet. The Nahmad gallery based in New York and London – a family business famous for its massive stocks of artworks – is exhibiting a series of paintings by the inventor of Art Brut dating from the 1950s: “The Tables”. He works the material in shades of brown using a technique inspired, according to Joseph Nahmad, by another French painter, Jean Fautrier. 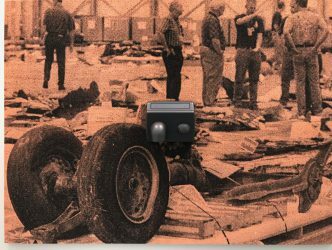 He says that there are five artworks on display from the series, which features 25 in all. They are on sale for between 1 and 1.5 million dollars. 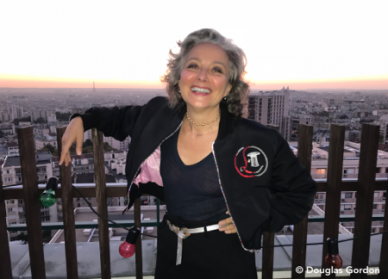 The Italian Carol Rama (1918-2015), a painter with a life as long as her output has been diverse, has herself become to an even larger extent one of the great new subjects of fascination for the art market. 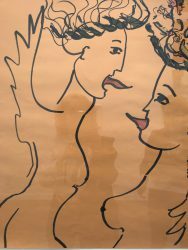 The New York art dealer Fergus McCaffrey is displaying a group of her works, on sale from 80 000 dollars for the surrealist style drawings up to 650 000 dollars. 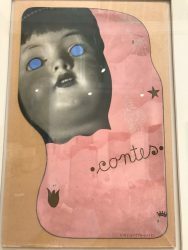 At the booth of the excellent Ubu gallery from New York, there is an unmissable anomaly in the history of art: a surrealist collage made in 1932-33 by an artist who would go on to become the high priest of kinetic art, Victor Vasarely (35 000 dollars). Indeed, we live in an age where almost all artistic creation is permeated with surrealism. 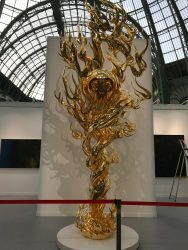 And so all eyes will be fixed on Emmanuel Perrotin’s booth at the entrance to the FIAC, where there is a 4.8 metre-high sculpture made out of fibreglass covered in gold leaf, by the market’s star artist, Takashi Murakami (born in 1962). This “Flame of Desire”, flickering with a skull at its centre, is on sale for several million euros. 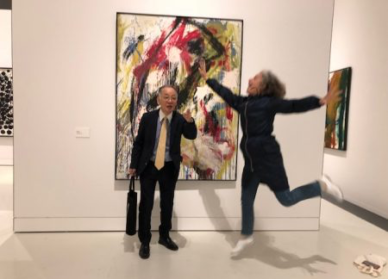 According to the Artprice database, in 2016 the price of Murakami at auction dropped by 7% and 21.5% of his lots did not find a buyer. “Takashi is benefitting from a surge of exhibitions in world-renowned museums, like right now at the Garage in Moscow”. 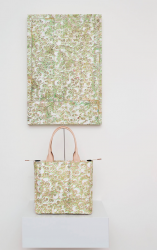 At the Perrotin gallery you can buy 2016 paintings by Murakami together with – showing a sense of humour – a matching bag, from 44 101 euros. Paris’s Art/Concept gallery is displaying, among others, the work of a high-profile English artist who lives in New York, Adam McEwen (born in 1965), who transfers images onto giant sponges which he then uses as canvases. 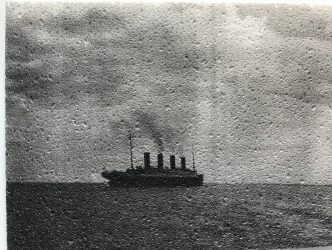 His latest series is dedicated to the Titanic (from 18 000 dollars). His work has been spotted by important collections such as the Louis Vuitton Foundation. Neil Beloufa (born in 1985), one of the few young French artists to have landed a solo show at Moma in New York (in 2016) and who will be exhibiting at the Palais de Tokyo in Paris in 2018, presents his new work, the encrusted layers of studio detritus in coloured and repainted fibreglass at the Balice-Hertling booth. 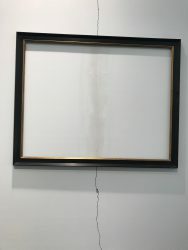 The facetious artist has placed a counter on the frame of the artwork which records the number of viewers. An allusion to our dependence on social media “likes” (from 35 000 euros). Bags, sponges, detritus… Sure. Post Surrealism. 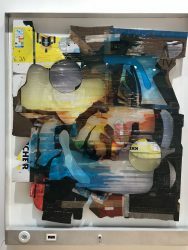 But the most daring piece in the fair is at the booth of Georges-Philippe and Nathalie Vallois and it’s by the famous Brazilian artist Henrique Oliveira (born in 1973). He has simply placed a frame over a crack in the wall. Who would invest 32 000 euros in this nihilistic gesture? « But it’s a one-off », says Vallois.